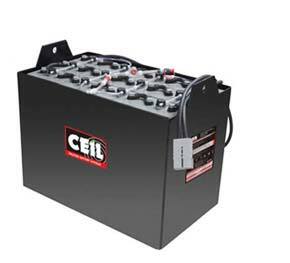 Exide Industries Ltd. India (EIL), Motive Power cells comes in a huge range of the Normal and the Enhanced version. The design has been optimized to maximize the utilization of the positive and negative electrodes. Usage of Advanced components for the manufacturing of electrodes gives higher discharge efficiency. The usage of highly porous and resilient Non-Woven Gauntlets and high precision filling system along with temperature controlled 2 shot recirculation formation of the cells has enabled a marked improvement in discharge characteristics and cycle life of the cells. EIL range is at the highest technology level and has a very high efficiency. This improvement integrates the European harmonization of the DIN and BS ranges. This range meets the dimensions of standards DIN/EN 60254 and IEC 254-2.